Have you ever wished you had somewhere to go to quickly get advice from other partners? Looked for an easier way to collaborate with salesforce.com? Well, we are delivering just that! We’re thrilled to introduce the new Partner Community – a world class partner experience with a Chatter community just for partners. For now http://partners.salesforce.com will redirect to www.salesforce.com/partners – but bookmark it and look out for the change on March 24th! But wait, not everything is changing: ISV partners will still use the Partner Portal to log cases and create test orgs. This summer we will migrate that functionality into the Partner Community as well, retiring the Partner Portal for ISVs. Thought it couldn’t get any better? 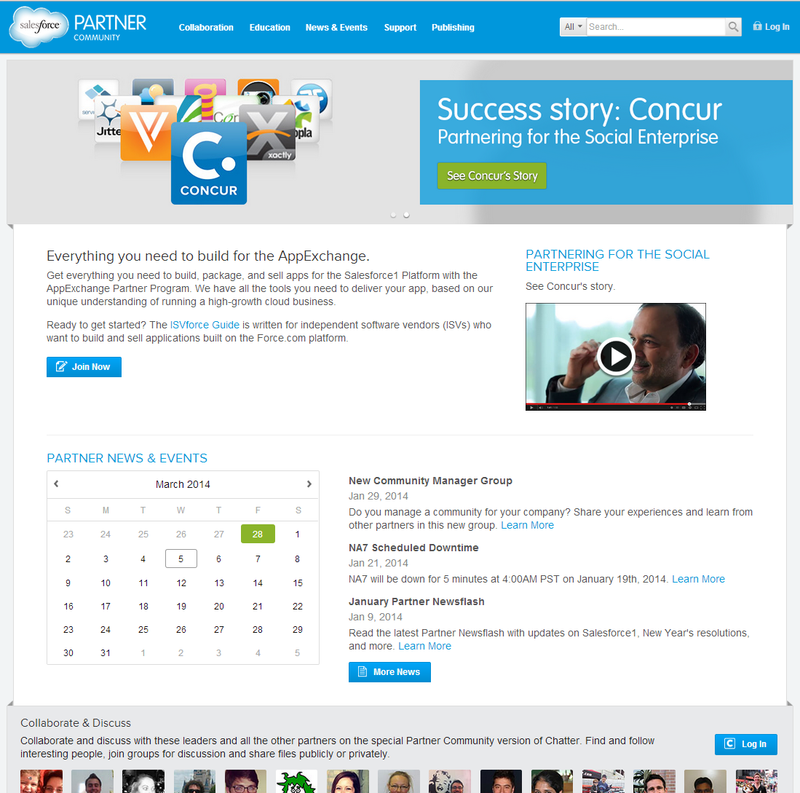 Try this – unlike the Partner Portal, no special login is needed for the Partner Community. You can login with your Salesforce credentials that you use to access the Success Community and AppExchange! The first time you visit, you will have to register with your Partner Portal credentials so we can connect your partnership to your user, but going forward you’ll only need your Salesforce login. Don’t kiss your Partner Portal credentials goodbye just yet though, you’ll still need them until cases are available in the Partner Community this summer. If you’re a consulting partner, the Partner Portal is still your primary resource. Get content, sign up for training, create leads, projects and cases – but you are welcome to collaborate in the Partner Community! Be sure to attend the Partner Roadmap Webinar on April 3 where we will cover more details about the new Partner Community. You can sign up for this new webinar at http://p.force.com/roadmap (login required). We can’t wait to collaborate with you in the new Partner Community!